On March 17, 2018, St Patrick's day, the wreck of the USS Juneau was located by the MV Petrel. According to their Facebook page, "The R/V Petrel is an underwater research and exploration vessel commissioned by philanthropist and Microsoft co-Founder Paul G. Allen. 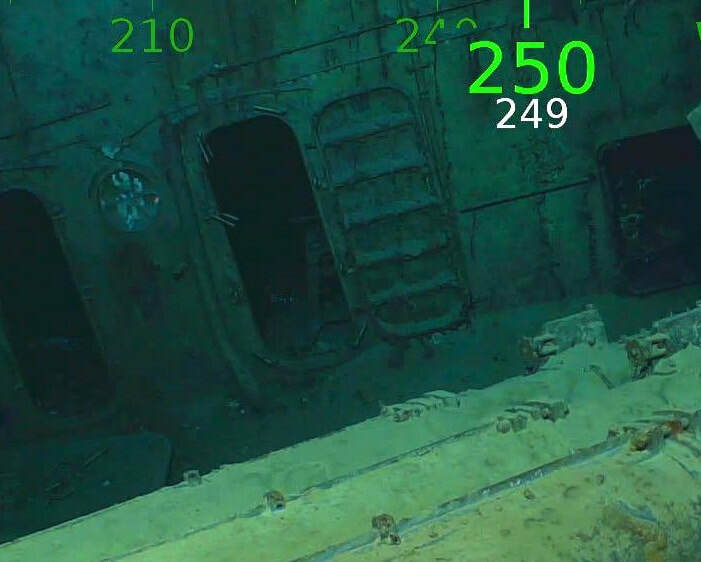 Petrel focuses on locating historically significant shipwrecks and exploring underwater ecosystems"
This news is both exciting and tragic at the same time. 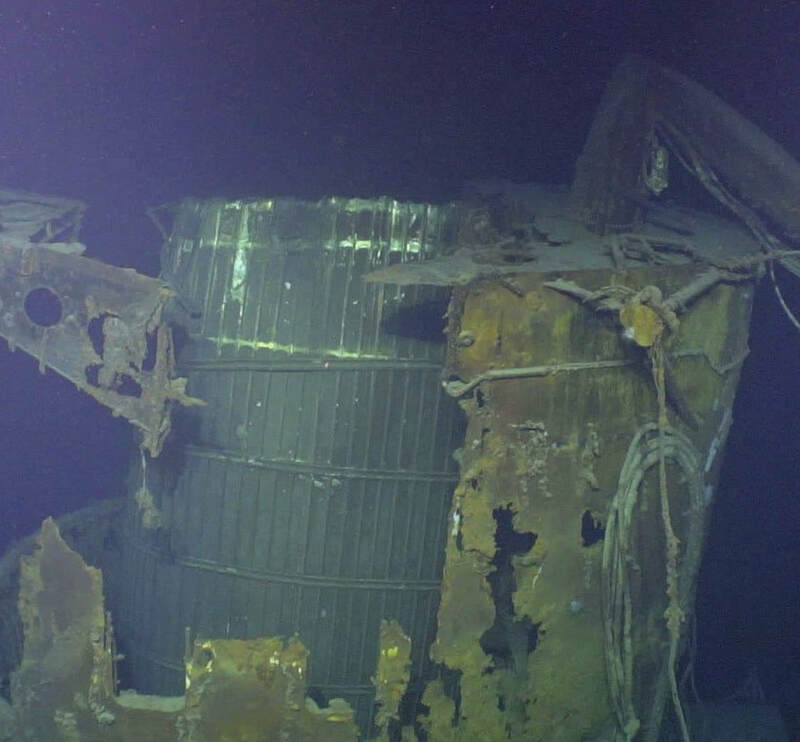 This discovery has caused a whole range of emotions to the families of the crew. I will attempt to highlight the discovery and add some of the human side to the pictures of the wreck. ​In this photo of the port side we can see a saw bench located in the Carpenters and ship fitters shop. ​1) Here is the aft stainless steel smoke pipe, located inside the funnel. 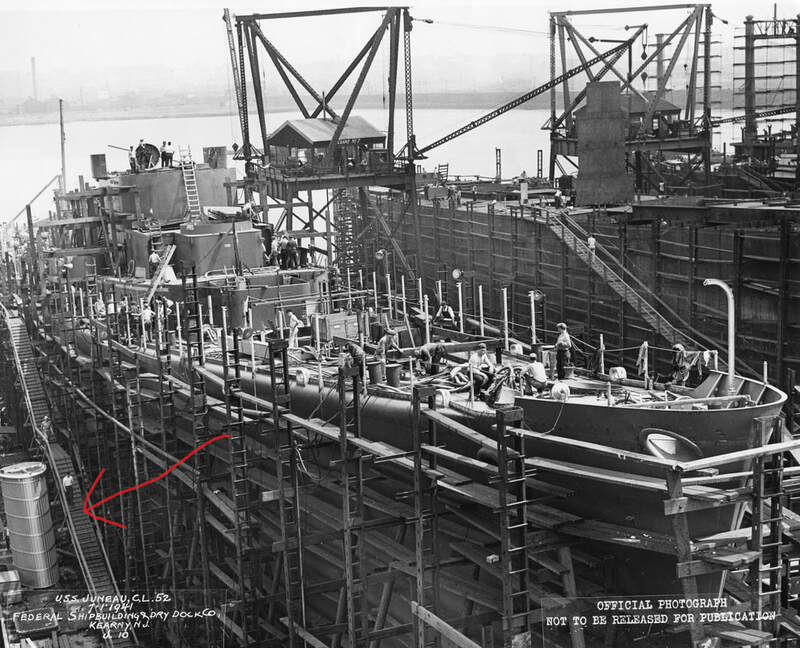 ​2) Here is the smoke pipe sitting on the floor of the building way waiting to be installed on the Juneau. ​3) Here is a close up of the smoke pipe, the bands are clearly visibly both in this picture and on the wreck.